The next generation Apple Watch is here: meet Apple Watch Series 4! Yesterday’s Apple keynote was incredible. 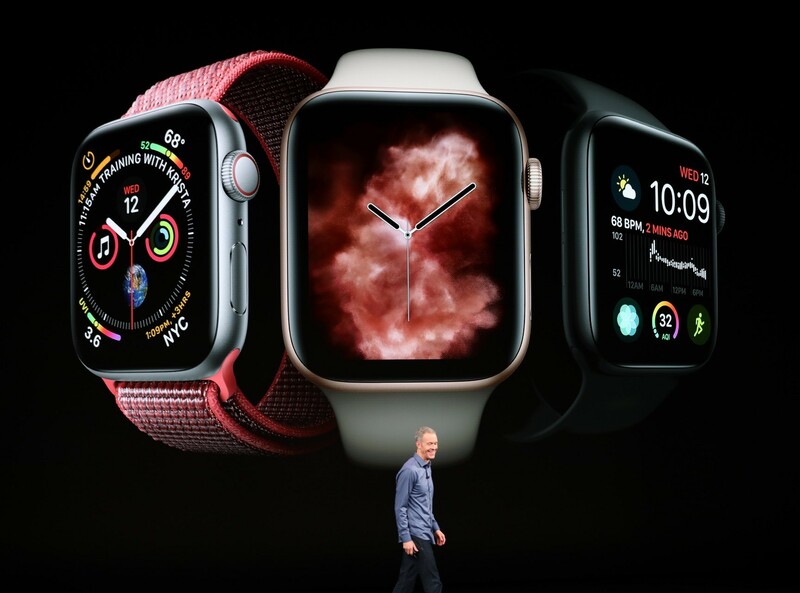 So much was announced, and especially us Apple Watch fans will love all the new upgrades the Series 4 Apple Watch will bring. 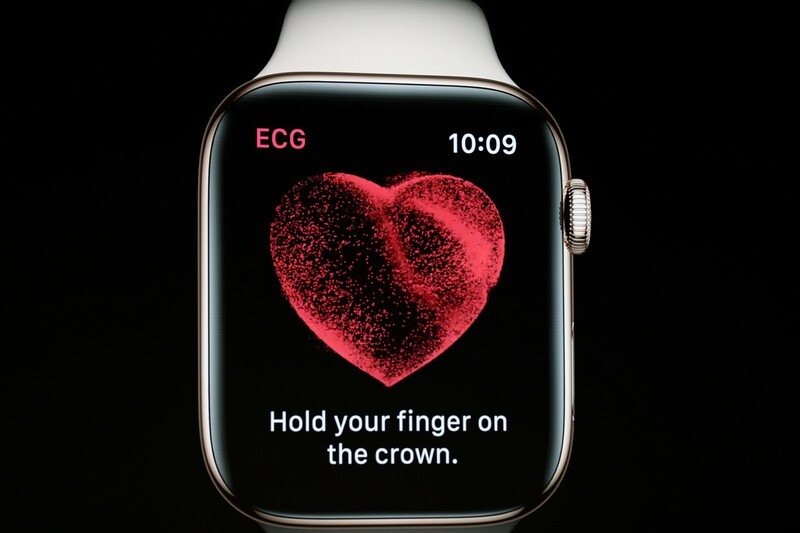 Your Apple Watch will notify you in the background when you have an elevated heart rate. The new feature of the Electrocardiogram screens your heart rhythm if it detects an irregular rhythm, helping people with underlying issues. Newly added electrodes to the sapphire crystal in the black back allow this. This is the first ECG product offered over the counter to consumers and helps diagnose certain heart conditions, such as atrial fibrillation which increases your risks of strokes, or heart failure . You can use it by opening the app and putting your finger on the Digital Crown. It takes 30 seconds at the end of which you will receive a heart rhythm classification. The information is stored in a pdf, which you can easily share with your doctor. This new feature is supported by Dr Benjamin of the American Heart Association and is cleared by the FDA! The curved corners match the shape of the watch, creating a 30% larger screen to see more in maps, photos and calendar. Apps will become significantly more powerful and snappy. We will also see brand new watch faces with up to 8 complications that you can customize to eg. track different time zones, or display health features. The popular Breathe app is now available as a Watch face to guide you through a deep breath. Apple stated that the speaker is now 50% louder and the echo has been reduced to make phone calls clearer. 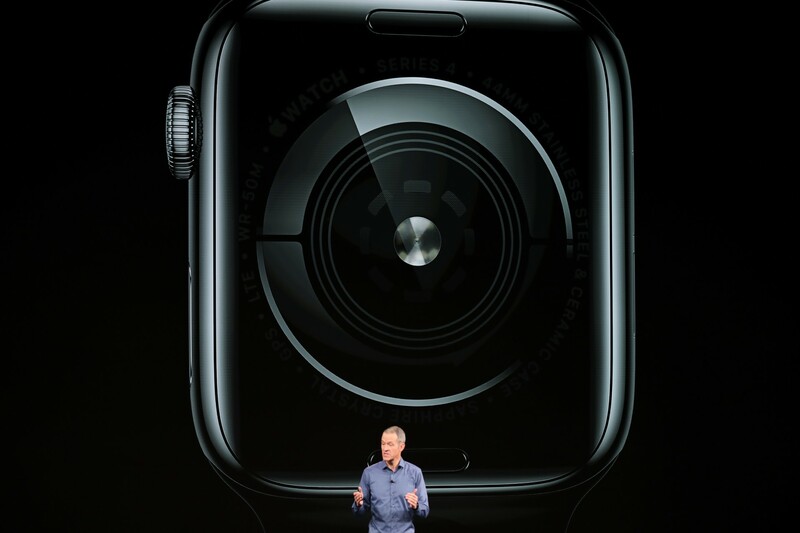 The back of the Apple Watch is made of black ceramic and Sapphire crystal to create better reception. 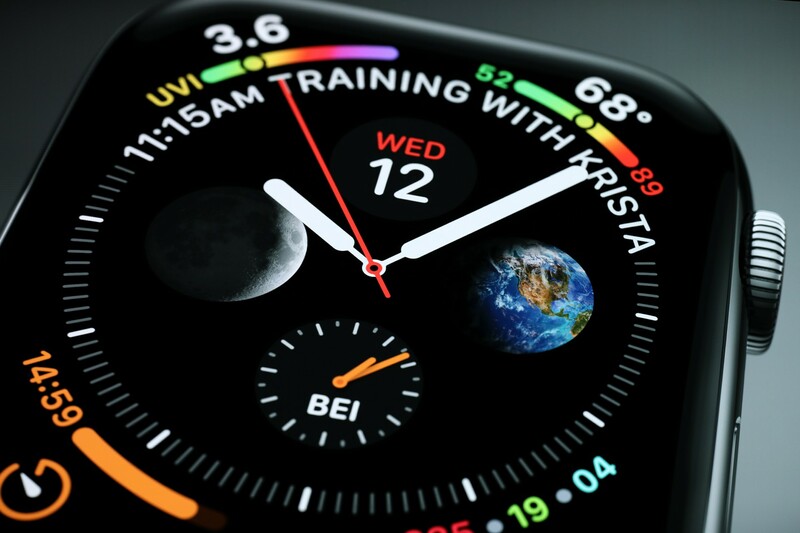 Apple Watch Series 4 ensures an 18 hour battery life. Apple Watch S4 can detect a fall to ensure that you get help fast! The Watch analyzes wrist trajectory and creates an alert from which you can call emergency services. However if you remain immobile for 1 min it will call emergency automatically. Literally a life saver on your wrist. With all of those added features, Apple ensures that your Health and fitness data is encrypted and stays private. Lastly, Apple announced a new Stainless Gold color, which looks stunning to say the least. 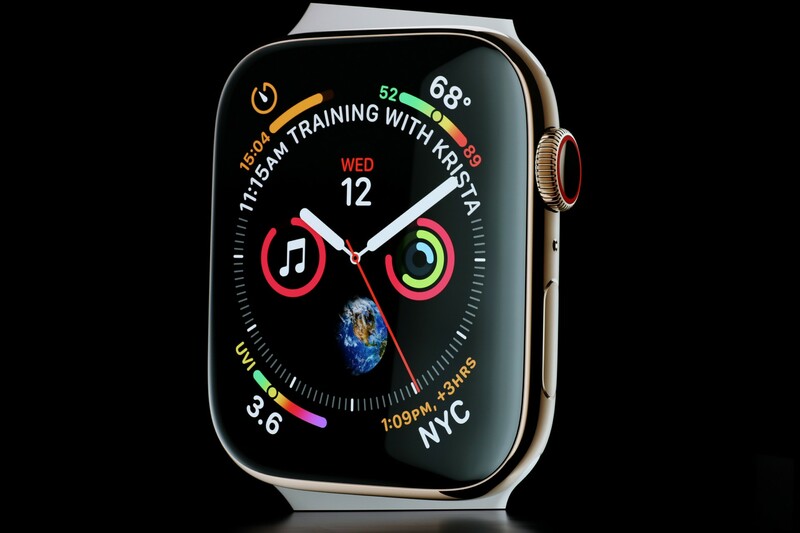 Will you be getting the new Apple Watch Series 4?